This 330-year-old waterway skirts the sun-drenched shores of the Mediterranean before meandering inland through ancient villages, Roman fortifications and famed vineyards. A UNESCO World Heritage site, this canal is defined by its beauty, lined with shady plane trees which often touch to form an arc of green above the water from bank to bank, and crossed by pretty arched bridges. The warm Mediterranean weather and relaxed pace of life is sure to lull you into unwinding as your luxury Canal du Midi barge meanders gently downstream. This is the perfect place for cycling or walking along scenic tow paths, or simply watching the scenery pass by as you relax on the deck of your Canal du Midi barge with a cool drink. In the distance you can see the Pyrenees, whereas closer to hand are the vineyards that stretch for thousands of square miles. Enjoy private wine tastings at one of the various chateaux en route. You will discover a marvellous blend of ancient Gallo-Roman and traditional influences reflected throughout this very historic region. 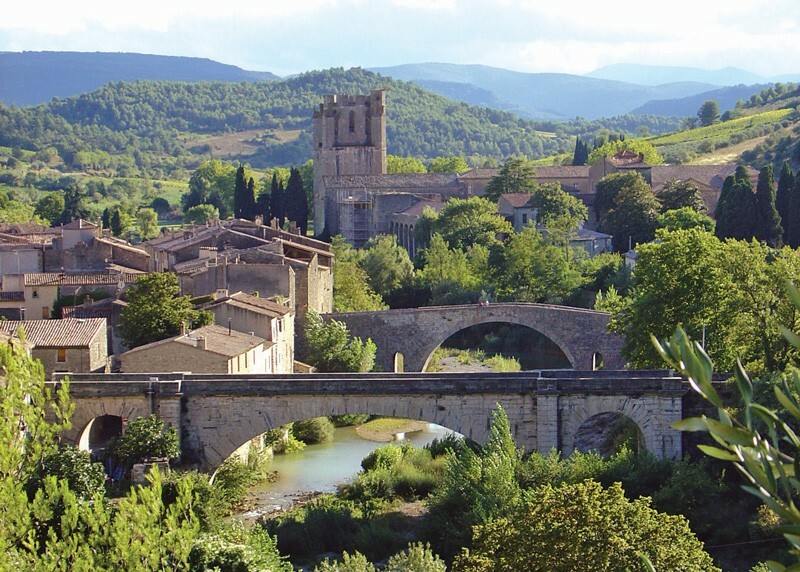 Explore this further with your tour guide when you visit the medieval walled city of Carcassonne, the cathar stronghold of Minerve or the underground Roman market in Narbonne. Midi cuisine is a delicious combination of Provençale and Mediterranean flavours. Fresh seafood and regional specialities, paired with the excellent local Corbières and Minervois wines, produce an unforgettable repertoire of gastronomic experiences. Please Note: Art, Family, Golf, Tennis & Wine Appreciation Theme Departures Available. Please contact us for more details. On alternate weeks the cruise will be in the reverse direction. Vessel Type: Hotel Barge / River Boat Length: 100 feet / 30.48 meters Passenger Capacity: 8 Enchanté is a spacious, double-decker hotel barge that has been built to the highest standard to offer a stylish on board ambience that is perfect for enjoying a cruise through this sun-drenched region. The hotel barge is tastefully furnished in a contemporary style, creating a bright, art deco atmosphere. She has a large saloon with outstanding attention to detail, including an open-plan demonstration galley where guests can see their skilled chef at work. On the lower deck, there is also a computer with internet connection for guests’ use, as well as the requisite Wi-Fi onboard. 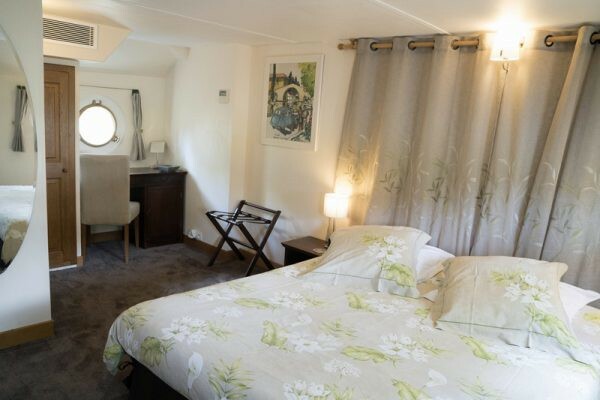 The luxurious air-conditioned accommodation is in four equally spacious twin or double-bedded suites, the largest of any hotel barge on the Canal du Midi and all with superbly appointed en suite shower rooms. Outside, the spacious sun deck boasts an alfresco dining area, a gorgeous spa pool and comfortable loungers to relax in while the countryside drifts slowly by. Enchanté is a hotel barge that offers an alluring blend of luxury and modernity. She is a vessel that will charm any discerning traveller on her sedate journey through the Midi countryside. No Departures date available. Please contact us at travel@wildiaries.com for more information.